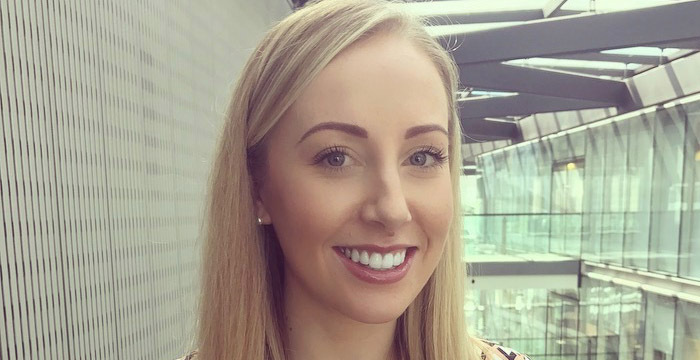 Identifying new opportunities to use technology, creating new products to challenge and improve the shape of client service delivery, and establishing internal efficiencies through use of artificial intelligence are just some of the things Taylor Wessing innovation manager Laura Bygrave is involved in. It’s an exciting line of work and one she didn’t think she’d end up in as a law grad almost seven years ago. Bygrave studied law at the University of Leeds, but it was her desire not to specialise “too early” and instead do something with a strong business focus that led her away from the more traditional paths trodden by her wannabe lawyer peers. Fresh from law school, bright-eyed Bygrave, who turned down a training contract offer, landed a business consultancy role at Hydrogen Group, a recruitment firm covering sectors including law and technology. She then moved to big four accountancy giant EY. Five years and a series of promotions later, Bygrave, who by now was a project manager in EY’s tech innovation team, was ready for a new challenge. A challenge that came earlier this summer in the form of Taylor Wessing and a newly-created innovation manager role. So what’s life like on the innovation frontline? Bygrave explains how she works with lawyers at every level of the firm, from partners right through to trainees, streamlining processes using technology in a bid to save both time and money. “Our open-door policy really helps generate ideas,” says Bygrave. Indeed, a core part of the firm’s innovation strategy is collaboration and blended teams of lawyers of all seniority coming together to discuss tech solutions. Bygrave’s work doesn’t stop there. The innovation specialist also collaborates with Taylor Wessing’s clients (these range from start-ups right through to multinationals) to develop new products and help revolutionise the way it provides legal services. One such project is ‘TW:detect’. Though still in its piloting phase, the firm is working with cybersecurity developer Pervade Software to test the product that helps clients identify if their website has been targeted by hackers. The clever tech tool works by scanning e-commerce clients’ websites for indicators that the website may have been compromised, enabling them to provide guidance on next steps, and to prevent further instances. 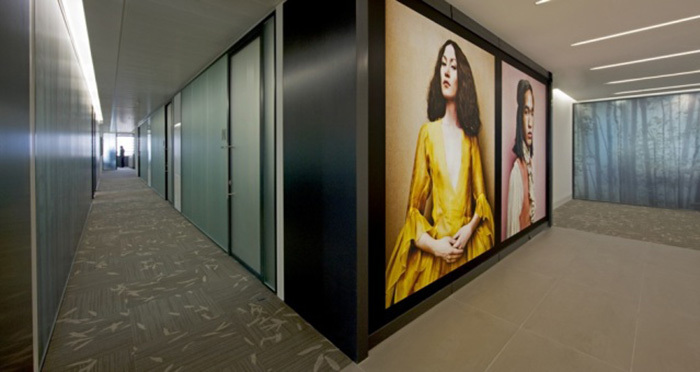 Alongside being known for tech, Taylor Wessing, which sponsors the National Portrait Gallery Photographic Prize, is famous for the modern artwork which adorns the walls of its London headquarters. Development began on the project shortly after the high-profile British Airways (BA) data breach, in which hackers reportedly accessed 380,000 customer transactions after a malicious code infiltrated the airline’s website. Bygrave led the project from the outset: from the original concept dreamt up by the firm’s head of cybersecurity Paul Glass, through to testing and introduction to the legal market. She procured the developer and helped identify use cases for the prototype, created a business case and pitched to an internal board for investment and final sign-off — all in the space of six weeks. “It’s refreshing to see how the firm is agile in order to remain at the forefront of disruption,” says Bygrave. There are other signs that Taylor Wessing is a law firm that takes innovation and tech seriously. In addition to its London HQ, the firm has been running a small satellite office out of the Second Home workspace in Shoreditch, east London, since 2011. The firm has also been developing its own AI products internally through its award-winning ‘TW:navigate’ programme which is part of the Taylor Wessing TechSet. Its free Modern Slavery Act assessment tool is one such product and allows business owners to check in 15 quick steps whether their business should comply with the Act. Taylor Wessing’s lawyers are then able to provide advice and further support following the assessment. Wise words, but how might students go about doing this? Though aspiring lawyers do not necessarily need to learn how to code (it’s the new Mandarin for the tech-age, apparently), they do need to learn how to adapt in order to get to the top. But don’t forget interpersonal and other “soft skills”, says Bygrave, for those are also important essentials in every lawyer-to-be’s toolkit. Laura Bygrave will be speaking at ‘‘Creativity, innovation and the law’‘ with Taylor Wessing tomorrow (Tuesday 27 November).